Home » Campus Events » Announcing 2015-16 speakers, programs, and special events: Twice as many as last year! Announcing 2015-16 speakers, programs, and special events: Twice as many as last year! Don’t get our newsletter? See below for some of what went out in our most recent e-newsletter, and be sure to sign up here to receive regular updates about YHC programs and special events. Hello from all of us at YHC! We hope you had an amazing summer. We can’t wait to welcome back everyone who has been away for the summer. We’re so excited to share some of what we’ve been working on this summer with you. Below, you’ll find details about our full 2015-16 Humanist Haven speaker lineup and our new schedule of recurring events for 2015-16, plus a special event to celebrate the life and legacy of Carl Sagan. Read on for more information about this year’s Haven speakers, our exciting Carl Sagan Day event, a special dinner at Miya’s happening next month, and much more. Please be sure to save the dates for these events, and let us know if you have any questions. 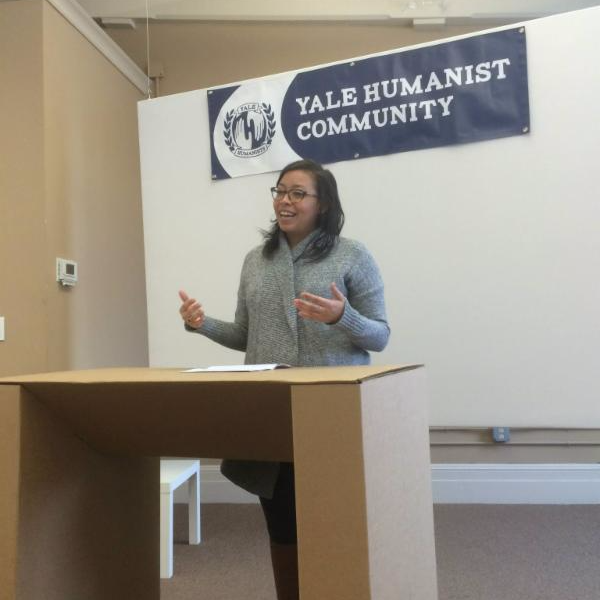 We hope you’re as excited as we are for a new year of Humanist community at Yale and in New Haven! Announcing our Fall 2015/Spring 2016 Humanist Haven speaker lineup! Humanist Haven resumes Sep. 6 at 1 PM at The Grove. 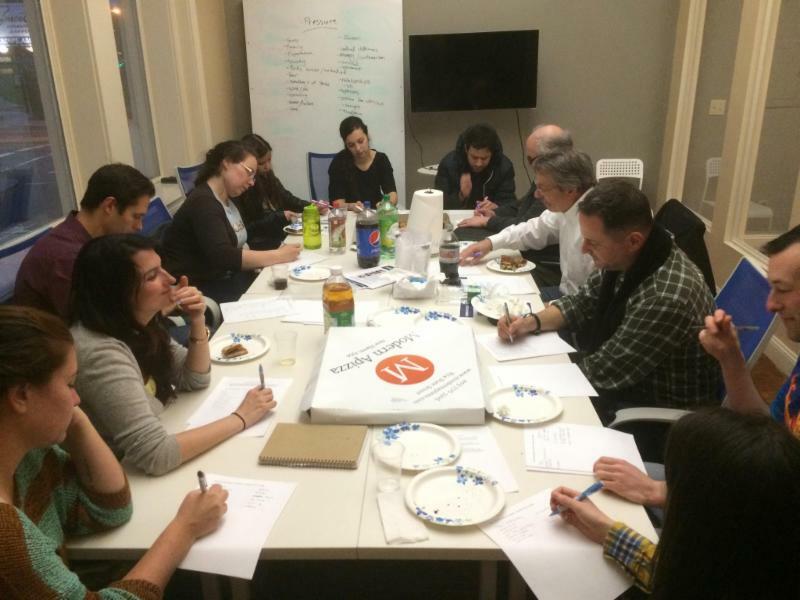 Last year, we were thrilled to see Humanist Haven participation grow from our first meeting in September as you all came back time after time — and brought your friends! Together, we learned more about ourselves and our world, built meaningful connections, and developed a sense of community. Based on your enthusiasm for Humanist Haven, we’re excited to bring it back on September 6 — and to move forward with hosting more than twice as many as we did last year. Don’t know what Humanist Haven is? It’s YHC’s community gathering where people from all across Yale and New Haven come together to ask big questions, explore what gives our lives meaning and purpose, and act to make the world a better place.All Humanist Haven meetings feature a thought-provoking guest speaker, and take place on the first and third Sundays of the month at 1 PM at The Grove, 760 Chapel Street New Haven, CT, unless otherwise noted. With more than twice as many gatherings, we’re able to host a wider range of speakers to address issues that affect us all. We hope you’ll join us for a challenging and rewarding year of learning and growing together. Click here to learn more about the full 2015-16 lineup. We hope to see you soon at Humanist Haven! Save the date for our special event on November 9. Though he died in 1996, astronomer Carl Sagan’s work continues to have a tremendous impact. He influenced a generation of scientists and thinkers, taught millions about the wonders of science, and inspired the world to ask big questions. His work enriched and entertained, from his books like Contact, Pale Blue Dot, and The Demon-Haunted World to his television series “Cosmos” (recently rebooted with new host Neil deGrasse Tyson). He inspired us to look up to the stars, but also to look inward. He helped us better understand the world around us — and by encouraging us to be curious, courageous, and compassionate, he also helped us better understand ourselves and one another. Carl Sagan was an unparalleled scientist, storyteller, and communicator, and his contributions will be felt for years to come. This Carl Sagan Day (November 9), YHC is honored and thrilled to welcome a special guest: Nick Sagan, son of Carl Sagan. In a moderated discussion with YHC Executive Director Chris Stedman, Nick will talk about his father’s impact, the connection between his father’s work and Humanism, and his memories of growing up with Carl Sagan — including what it was like to record a greeting for potential extraterrestrials at six years old for the Voyager Golden Record. We invite you to save the date and join us on November 9 for a conversation with Nick Sagan, and a celebration of the life and legacy of his father Carl Sagan. 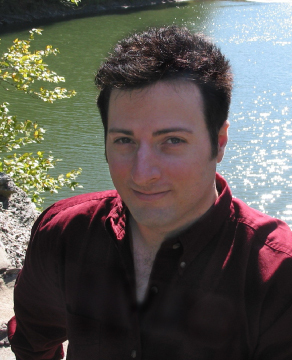 Nick Sagan is an author of novels, screenplays, teleplays, comic books, animation episodes and computer games. A prolific filmmaker and writer, his credits include episodes of “Star Trek” and the book You Call This the Future?, which Publisher’s Weekly called a “delightful ‘expedition in search of the future’, providing clear explanations of today’s cutting edge technologies.” He is also the author of the acclaimed Idlewild Series and creator of the Shrapnelgraphic novel series for Radical Publishing. The son of astronomer Carl Sagan and Pioneer plaque artist Linda Salzman, Nick was 6 years old when his greeting, “Hello from the children of planet Earth,” was placed aboard the Voyager Golden Record as a representation of the English language for potential extraterrestrials to one day discover. Join us for a special dinner at Miya’s next month! Eat great food, enjoy awesome company, and help YHC. Join YHC and our Young Adults, Professionals, and Graduate Student group on September 22 at 7 PM for a night of amazing food at the world-famous Miya’s Sushi — 68 Howe St, New Haven, CT — with proceeds going to fund our work to build Humanist community! Having been named one of the three most sustainable restaurants in the U.S. in 2012 and one of Gourmet Magazine’s Top Ten Healthiest Restaurants in the U.S., Miya’s is widely acclaimed for its delicious, sustainable, and highly unusual approach to dining. Interested in supporting YHC’s work and experiencing how Miya’s “uses the technique of sushi as a medium to explore what it means to be human”? Sign up at http://bit.ly/YHCMIYA and then go to http://bit.ly/YHCdonate and make a donation of at least $50, or let us know during sign up that you plan to bring cash or check. Your full donation will go to support the work of YHC. With your registration and donation to YHC, you will be treated to a multi-course meal that is sure to be one of the best you’ve ever eaten! Space is limited, so sign up now. Please note: Drinks are not included. However, you can of course choose to purchase drinks on your own — and we highly recommend that you do! The bonobo juice is legendary, and for those who don’t drink alcohol, the pickled ginger pop is one of a kind. Humanist Haven will now meet twice as often: On the first and third Sunday of each month, instead of just the second Sunday. We will also now offer extra assistance for families with children at the first Humanist Haven of each month. Our regular discussion groups are also meeting twice as often — we’re now offering four different discussion groups, instead of two. These meetings have all moved to Monday evenings. The first undergraduate student dinner of each month will now be hosted at YHC’s offices at The Grove. SMART Recovery has moved from Mondays to Wednesdays. The Grad Students, Professionals, and Young Adults Game Night is moving to the second Sunday of each month (from the first Sunday) and Pub Night is moving to the fourth Friday (from the third). Our new STEAMMM (science, technology, engineering, art, math, and medicine mentoring) service program, happening on the first Monday of each month, launches in October. Please be sure to update your calendar so that you don’t miss any of the events you’d like to attend — we don’t want to miss you! Our discussion groups were among our most popular — and most thought-provoking — offerings last year. So we’ve listened to your feedback and, beginning in September, we are bringing our discussion groups back, and adding two more! These groups will meet the first, second, third, and fourth Mondays of each month at 7:30 PM in the Happiness Lab coffee shop(attached to The Grove, 760 Chapel Street). Our new discussion groups are called Needs of New Haven and Unsacred Sacred Texts, while WTF (Who to Follow?) and Practical Humanism are returning. Visit the Discussion Groups page on our website to learn more about each group and how you can get involved. Students: We’re so excited to welcome you back to campus soon!Weekly undergraduate student dinners, hosted by the Yale Atheists, Humanists, and Agnostics, will begin again in September. Most of the time these weekly Thursday dinners will take place on campus, but beginning in October, the first Thursday dinner of each month will take place at The Grove, 760 Chapel Street, New Haven, CT. At those dinners, YHC will provide food from places like Jeera Thai, PitaZiki, Tikkaway, or other New Haven restaurants. Want to request something in particular? Let us know! We look forward to seeing returning students again soon — and to welcoming new students at student event fairs and future meetings. To contact the student Directors of the AHA and join the official list serv to get updates, email them at HumanistYalies@gmail.com. The None/Others (formerly known as the Open Party) at the Divinity School will soon resume regular meetings, too. The None/Others are a student collaborative for Humanist, Atheist, Agnostic, non-Christian, and/or non-traditional students at YDS focused on opening up multi-faith cooperation and dialogue opportunities for non-religious students, and on fostering fully inclusive community within YDS. 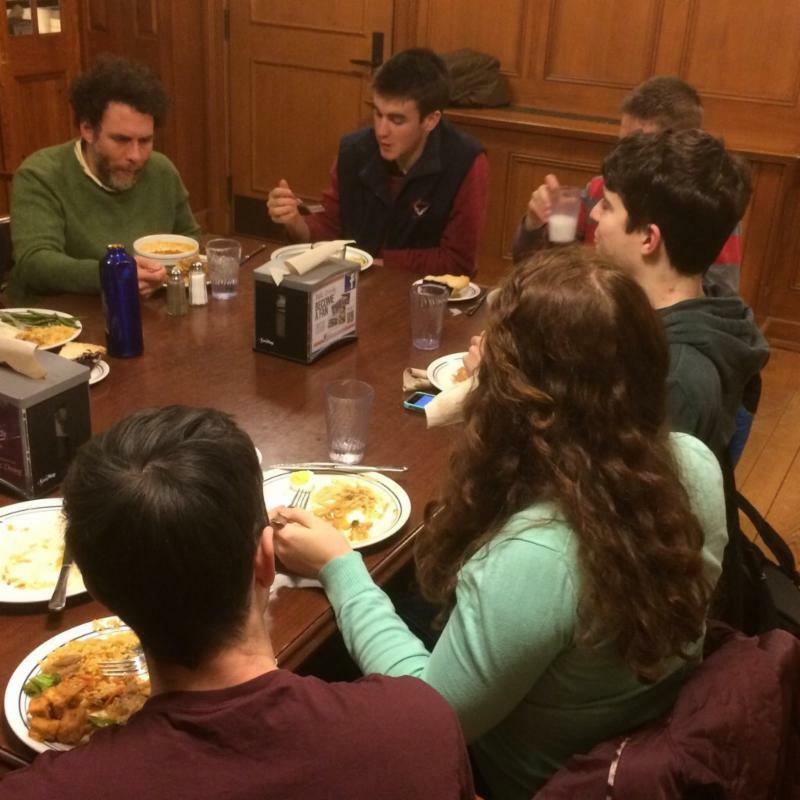 They meet weekly for round-table lunches and host several events throughout the academic year. To find out more about joining, volunteering, speaking opportunities, or for general inquiries please contact the None/Others at YDSNoneOthers@gmail.com. From the thoughtful reflections offered at every Humanist Haven, to the dedicated set up and clean up support we rely on in order to make the space comfortable and welcoming, our Humanist Haven gatherings are driven by the generous service of our volunteers. This year, we’re doubling the number of Humanist Havens, which means we’ll need your help more than ever. Have you enjoyed a Moment of Reflection, or participated in a Moment of Connection, and thought: “I could do that!” Do you want to help us with our new children’s story time initiative? Well now’s your chance to get involved. Click here to submit your interest and availability to volunteer. P.S. We’re looking for books — especially ones with Humanist themes — to use for our children’s programs. If you’d like to lend us one, or donate one to our library, please let us know! Click here to read the rest of this newsletter, and be sure to subscribe here! By Chris Stedman in Campus Events, Student Opportunities, YHC Updates on August 26, 2015 .